More than 1,400 law professors from across the United States have signed an open letter urging the Senate Committee on the Judiciary to block Donald Trump’s nomination for attorney general. 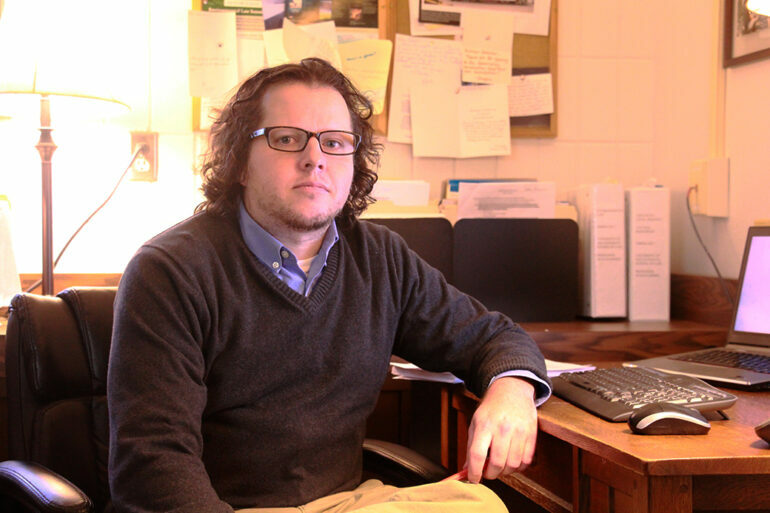 USD law professor Sean Kammer was the only signatory from South Dakota. Alabama Senator Jeff Sessions was nominated by President Trump on Nov. 18 to be the highest-ranking law enforcement officer in the nation. Due to Sessions’ controversial political positions, the nomination has come under scrutiny across the country. Concerns highlighted in the letter include Sessions’ promotion of the voter-impersonation fraud myth, his support for building a wall along the US-Mexico boarder, his support for regressive drug policies and his repeated opposition to legislative efforts aimed at promoting the rights of women and members of the LGBTQ+ community. In a statement, Kammer said that Sessions’ political inclinations could make him problematic for some Americans. While Kammer is the only signatory from South Dakota, there are others from the region that signed the letter. Paul Gowder, a law professor from the University of Iowa, also signed and said he’s concerned about the Alabama senator’s record on voting rights. Additional law professors from the region have signed the letter, including three from the University of Iowa, two from the University of Nebraska and eleven from the University of Minnesota. Kammer hopes the letter will be taken into consideration, though he isn’t particularly confident in its ability to create real change. “I think it should be relevant, but I doubt it will have much impact,” Kammer said. The entirety of the letter, including a full list of signatories, can be read here.